The back half of our property is wooded and abuts another much larger wooded area. We have a new couple living somewhere back there who comes to our house to eat several times a day. 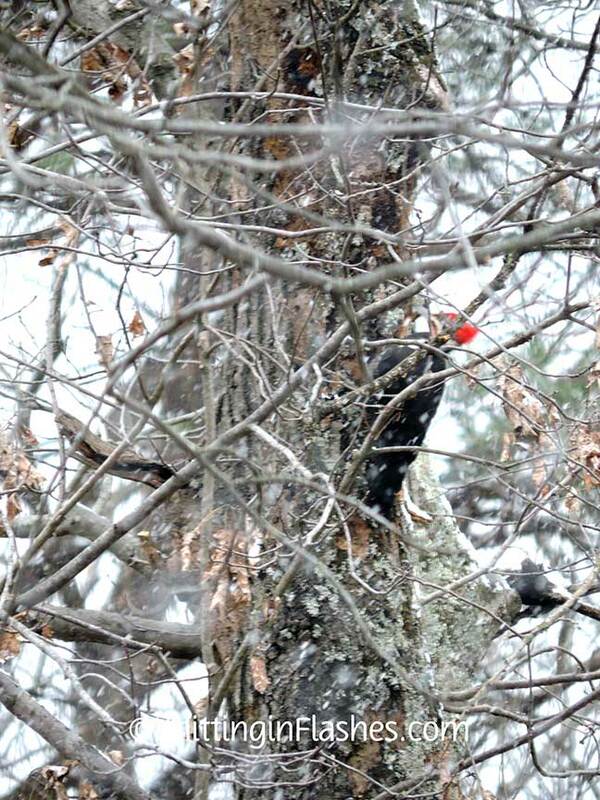 Two pileated woodpeckers. A female. The one with the red “mustache” is the male. 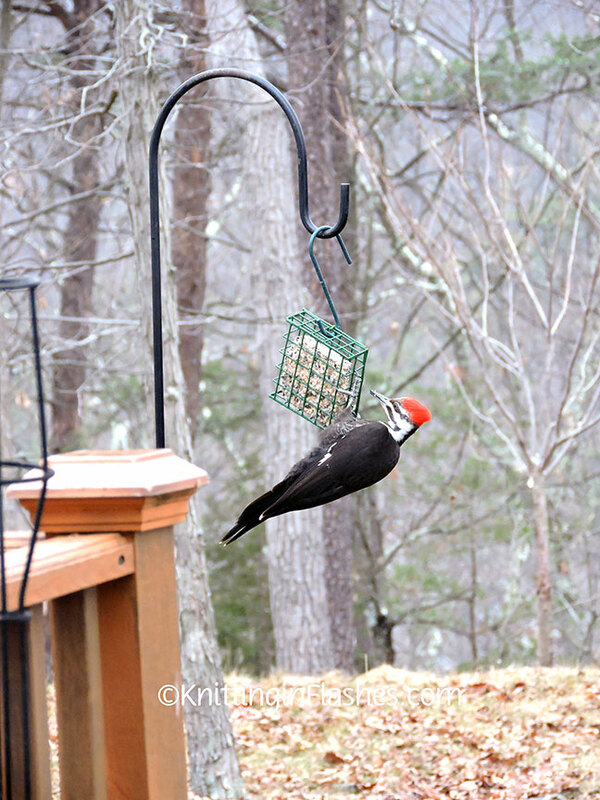 They both visit our suet cake bird feeder several times a day though the female is the one that usually hangs out on the feeder which is about five-inches square so you can see how large she is. 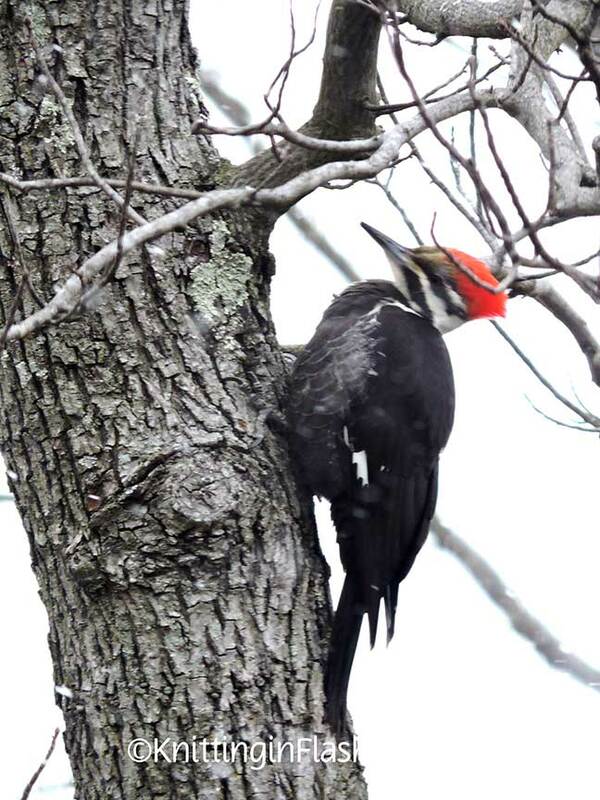 The male usually stays on a nearby tree or on the ground under the feeder catching and seeds that fall. We just love watching them. 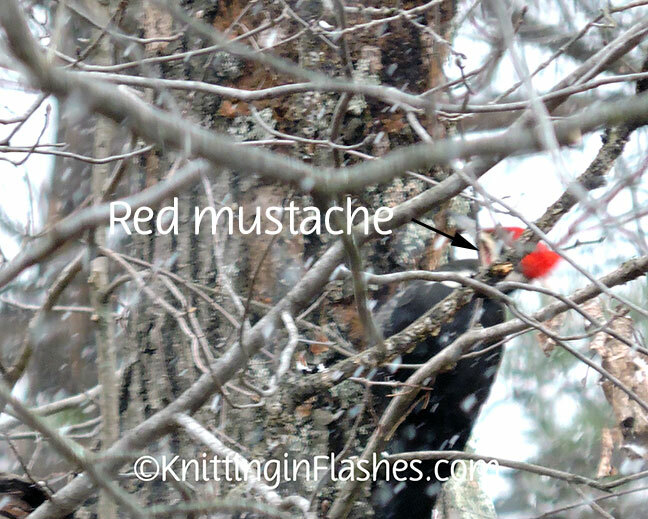 This entry was posted in garden, photography and tagged nature, outdoors, woodpeckers by Patti_is_knittinginflashes. Bookmark the permalink. 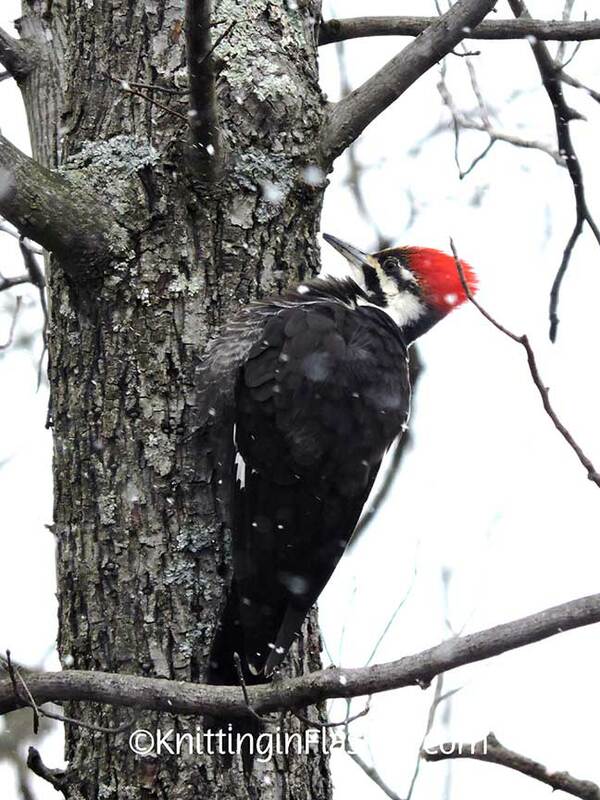 I love bird watching… relaxing.